A large number of homeowners, paying two mortgages because they can’t sell their previous home, are finding out that being a landlord isn’t as easy as it sounds. With housing prices in decline, many homeowners are deciding to rent out their old house rather than take a loss discounting their house to a price low enough to sell it. According to RISMedia, “People don’t want to be landlords, but they really have no choice, said Dennis Dickstein, a Realtor at Real Estate One in Farmington Hills, Mich., who estimates that 20% of his deals are leases.” The new crop of landlords are finding out that landlording is a business, and not an easy one at that. They just think you put a renter in there and you’re a landlord but they’re finding out that this is not always the case. They are discovering rental horror stories where the tenant moves in, doesn’t pay rent, and then trashes the house when they’re forced to leave, only to repeat the process with the next unsuspecting landlord. They are also taking a beating from the “professional renter” that knows how to legally avoid paying rent by exploiting all the legal loopholes to their advantage. There are lots of examples of horror stories and ways to avoid them on a favorite website of mine called Mr. Landlord.com. If you are looking to become a landlord because you can’t sell your house, you may think twice about doing it yourself. 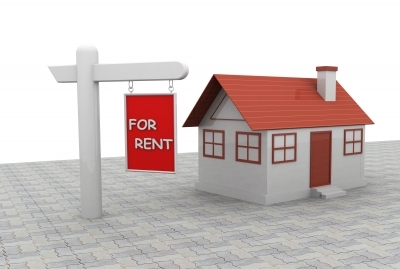 If you’re interested in becoming a landlord, only because you can’t sell your house, you may want to consider hiring a highly recommended property management company to handle all the details and to keep your largest asset safe. Want to know what type of horror stories you can look forward to? Really unhappy tenants like to share their displeasure with the landlord by leaving dead meat in an unplugged refrigerator for a few weeks before vacating, or the really clever ones put smelly, rotten things in hard-to-find places such as air-conditioning vents, inside the walls, or in the attic. Not only does it take weeks to get the smell of death out of your home, but you have to find it first. Even with a happy tenant, you’d still better become good at carpet cleaning, drywall repair and cosmetic repairs. It’s not uncommon to see holes in walls, trim removed, tiles chipped or missing and fixtures broken. Some tenants are just hard on homes, even without any form of malice. There are lots of designer TV shows that inspire homeowners to be creative when decorating their home. Some tenants are more artistic than others when decorating a rental. I’ve seen some of the most unimaginable color combinations ever assembled into a single room, not to mention unique murals. Some of those creations take several coats of primer to cover. Never let your tenant paint a room or make any modifications to your home. It rarely works out well for the landlord. I’ve also seen rental property yard decor consisting of things the tenant was too lazy to take to the dump and just left scattered in the yard, such as car parts, broken furniture, etc. It’s never good to see your tenant moving out of your rental in the middle of the night. There are lots of examples of tenants, owing rent, sneaking out without the landlord knowing, and leaving behind a trashed house. Professional tenants know how to get free months worth of rent by tying up an eviction for months while not paying rent. Not only do they know how to do it, they go from landlord to landlord accumulating months worth of free-living while taking advantage of the system. Don’t get too attached to your rental’s lightbulbs. I’ve seen vacated houses with every lightbulb stolen, even the lightbulbs in the fridge and above the stove are attractive targets. Smoke alarm batteries go missing quickly and the smoke alarms themselves make great tenant trophies too. Make sure you can prove that the rental came furnished with appliances because tenants try to steal those too, claiming they own them. Fixtures disappear, and I’ve had rentals where the tenant stole all the faceplates to the electrical outlets and switches too. It’s not uncommon for a tenant to get approved for a rental, move in, and then invite the scum of the earth to permanently live with them. Imagine a woman, who’s baby-daddy gets out of prison in a few months, renting your place. Guess who’ll be visiting her in the near future. When they break-up and she moves out, he becomes the future tenant. Love pets? You won’t when you become a landlord. When people don’t take care of their pets and let them run wild, bad things always occur. Smells, claw marks, excess wear and tear, and other things that degrade the condition of a house. Ever heard of “the cat lady?” She rents too. Imaging what a rental could look like after 50 cats tear through it for a few months. Sure, they pay the rent on time, but imagine your home being the new neighborhood meth dealership or pot farm. It happens, and in some situations, the damage can cost tens of thousands in repairs not to mention legal issues. These situations aren’t just for the low rent areas. Drug-traffickers have figured out that nicer neighborhoods are easier to hide in. There’s a TV show running now called Hoarders. This show is about people who accumulate so much stuff that their home becomes unlivable, and in most cases, condemned by the city. Did you know most of the people featured on that show are renters? Some places are so bad that the people cleaning up the house are vomiting. When they mention that the house is a rental, then I want to throw up. Luckily I’ve never come across a situation like that, but it’s common enough to make a TV show about. If your home doesn’t sell and you decide to become a landlord, some of these stories may become yours. Has anyone else run across an interesting landlording situation similar to the ones listed? This entry was posted in Criminal Activity, Real Estate Horror Stories and tagged home, landlord, real estate, rental, rental horror stories, tenant by Bill Petrey, Realtor. Bookmark the permalink.